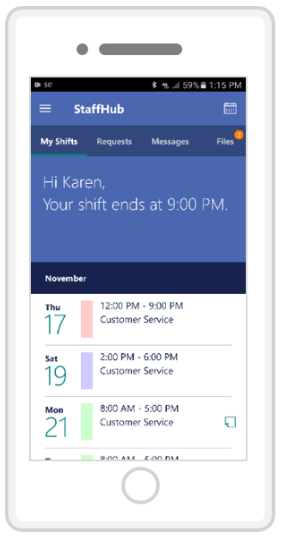 At the beginning of 2017 Microsoft launched a basic tool for managing employee shift rotas workforce management in Office365. This product is called StaffHub and it is one of many products inside of Office365. Since the release Microsoft have provided continuous updates based on end user feedback. It is now a polished product with a simplistic sleek user interface. 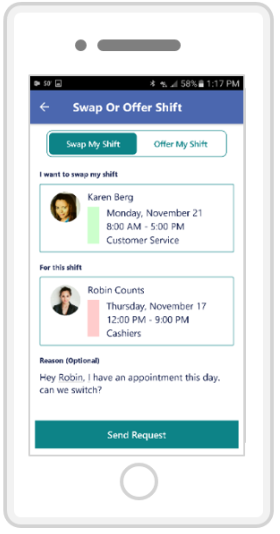 This application is aimed at businesses providing frontline services that require their employees to have shift patterns to ensure a consistent level of service to their customers. These types of businesses may be retail stores, manufacturing, social care, hotels etc. StaffHub could also be used for recruitment and similar placement agencies to post available shifts of their clients. 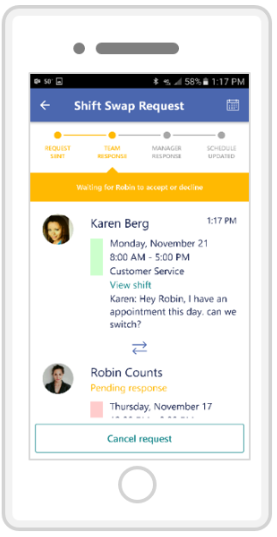 This allows employees to flexibly choose available shifts or stipulate when they would be unavailable to work. StaffHub makes it easy for Rota Managers to create and maintain shift rotas for their allocated team. Rota Managers can split their team into different categories for example a hotel may choose to group their employees by department: Catering, Reception, House Keeping etc. Rota Managers would access StaffHub via a web browser to build out shift patterns for their team. You may wish to use StaffHub as your employees one stop shop for all their business applications such as holiday requests, Expense claims, Email because it makes the lives of employees easier. This is possible by providing an area to link to your business applications from inside the StaffHub app. 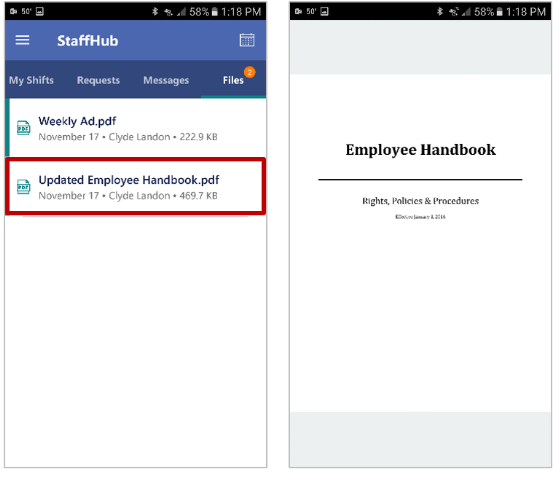 Not only does StaffHub provide shift rota functionality it also provides a central location for your employees to be able to access useful documents that have been uploaded by their manager. This could be useful for employee handbooks, design specifications of a project, navigation instructions to a difficult to find location or your organisations policy’s and procedures. 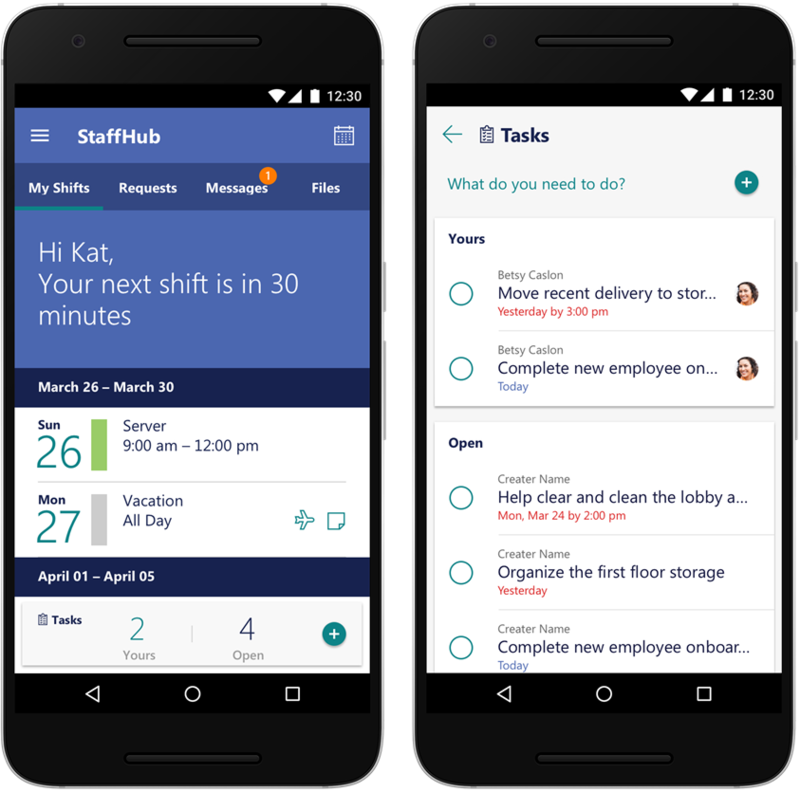 Your employees can clock in and out via the StaffHub app. This means you can accurately track what time they started and finished work. 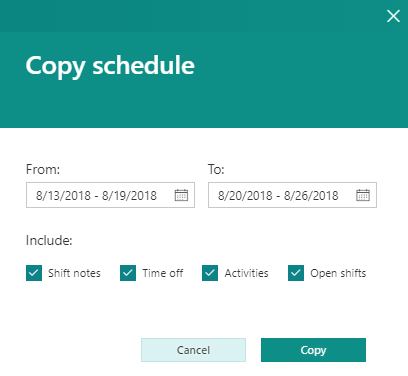 It will also allow employees to log any breaks they have taken throughout the day to ensure they are compliant with your break pattern policy. An option feature which is disabled by default, but you may choose to enable is “Geolocation”. This means your business can track the locations of your employees to check if they are working where they say they are. Employees and Managers can create and assign tasks to their Team members. This is a great way to make sure that during an employees next shift key tasks are completed. The app has a simplistic user interface, Therefore making it easy for employees to tick off when a task is complete. 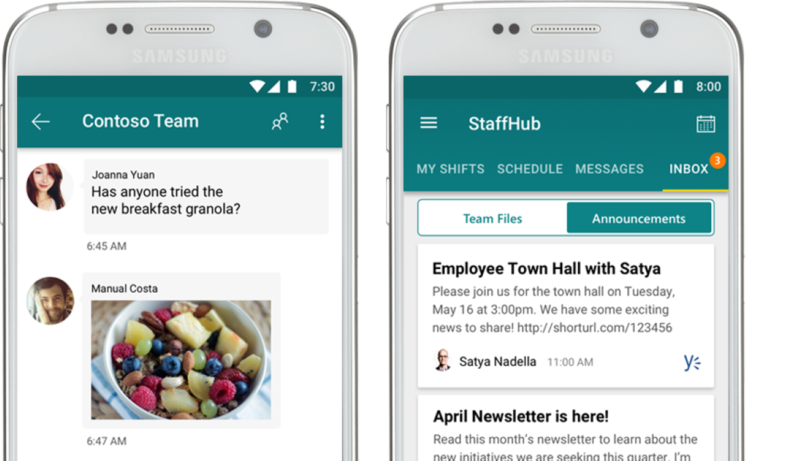 StaffHub app allows employees to direct message individuals or entire teams. This is great for asking questions or sharing important information quickly to the rest of the Team. A recent feature which allows for “Announcements” to be published on a newsfeed for the StaffHub application. This is useful for publishing key updates such as newsletters or promoting events easily to the entire organisation. If your business is interested in StaffHub or any other business solutions feel free to contact us today. At Valto, we’re committed to helping our clients get the most out of Office365 & SharePoint. If you’d like a FREE demonstration of any of the Office365 products please Call now on 03335 779 009 or Contact Us.